Abstract art gallery with the huge collection of Abstract photos of different parts of the world. Abstract art is the visual language of form, color and line to create a composition which may exist with a degree of independence from visual references in the world. Action Painting and color field paintings shows the varieties of the abstract art. It has grown with a view to promote Contemporary Indian Art and modern art. The gallery has been continuously involved in the recognition and promotion of emerging talent, creating an awareness of art amongst old and new collectors by showcasing good quality art works and providing a platform for interaction between artists and collectors. Features of Abstract Art:- -Sliding layout with improved usability. -Browse through with just swipe of the finger. 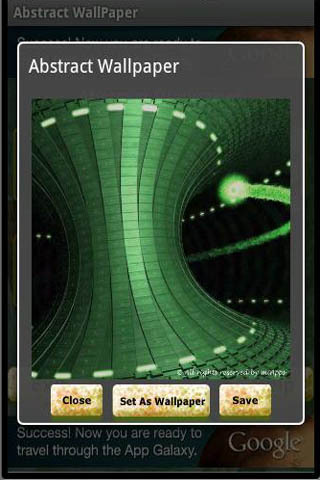 -Set displayed image as wallpaper for your home screen. -Collection of high resolution pictures, images and paintings. 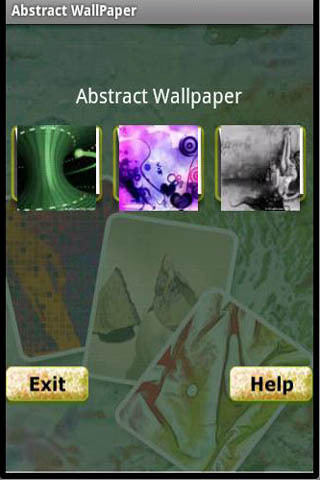 -Customize your phone the way you want with abstract art.